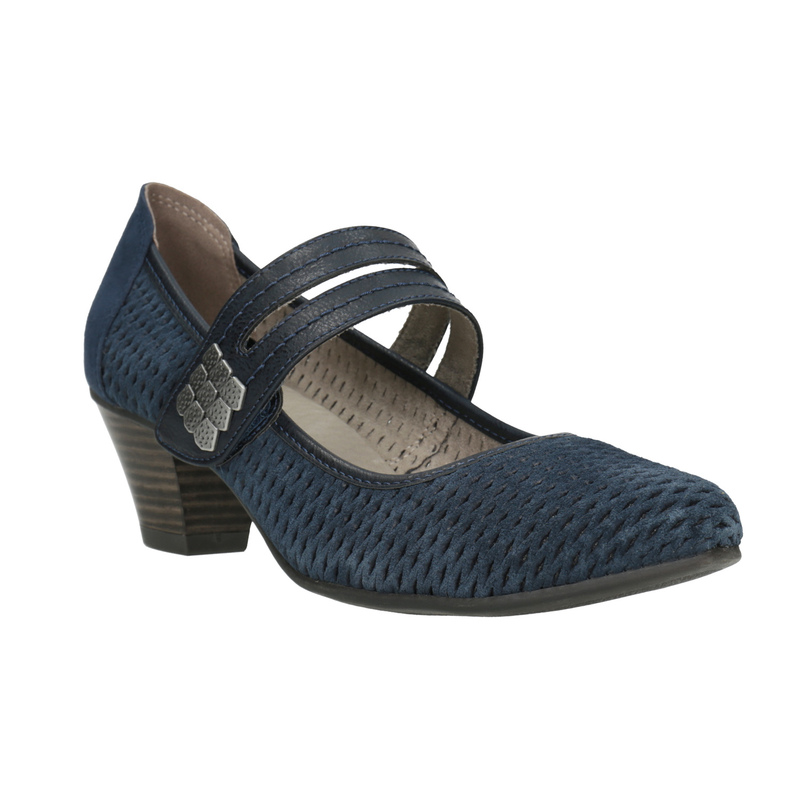 These ladies’ leather pumps are suitable for broader feet. The upper features a perforated pattern, which is also nice and breathable. 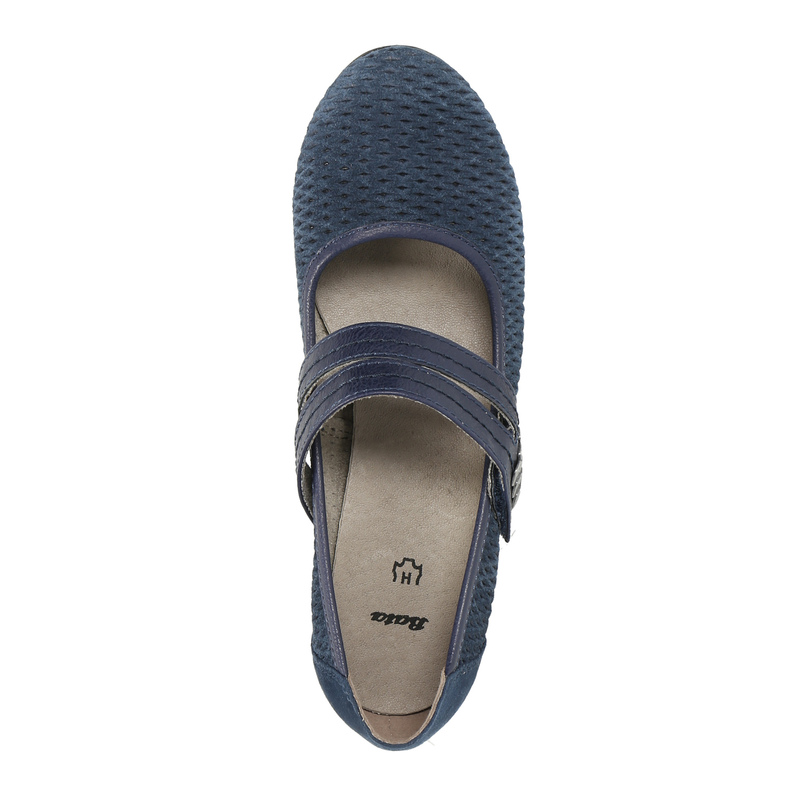 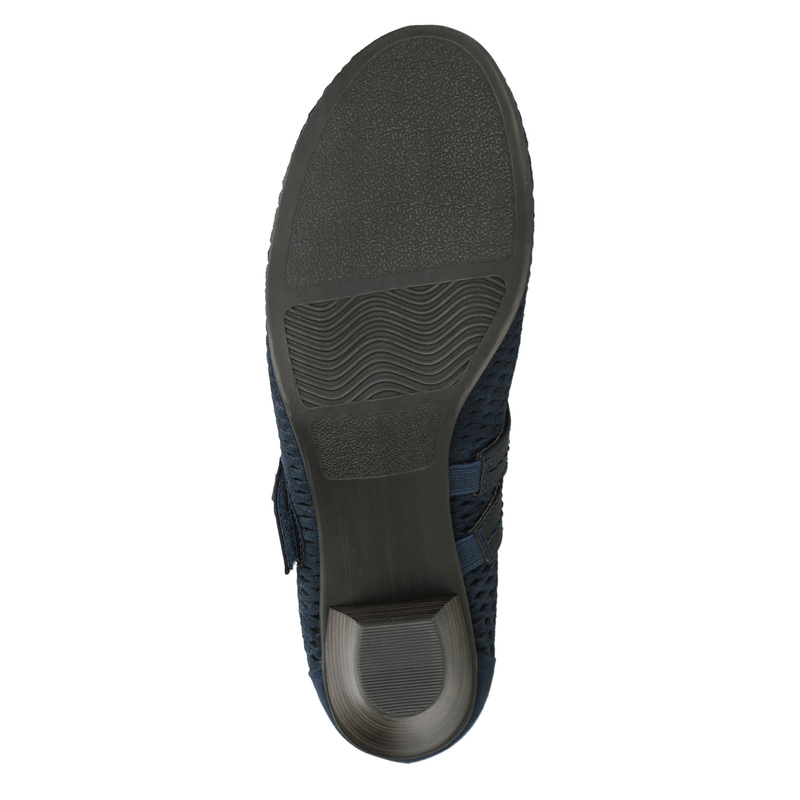 The strap across the instep grips the feet firmly in the shoe and has a convenient Velcro fastener. 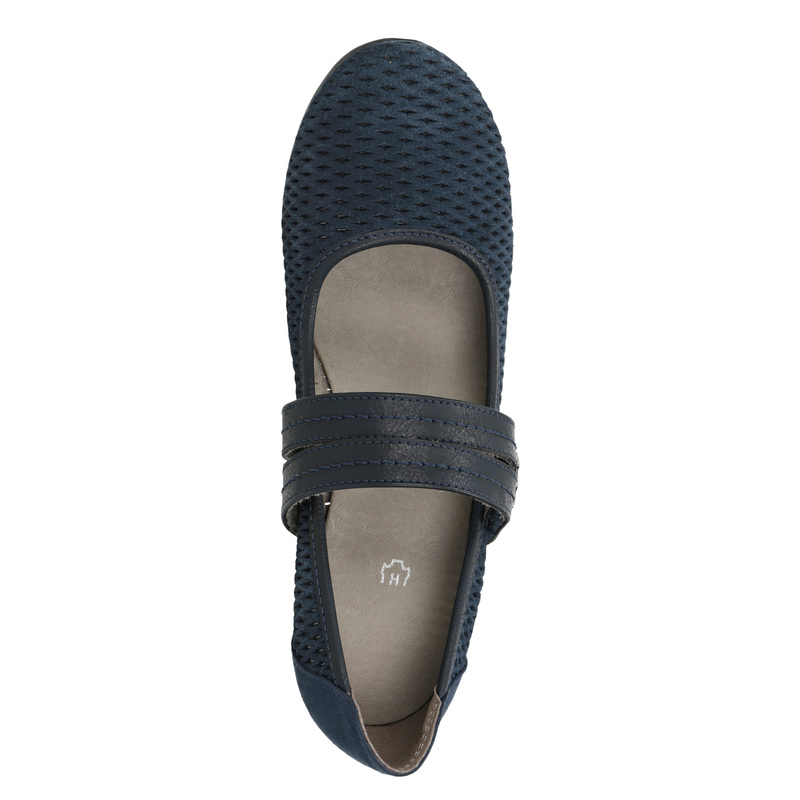 You’ll appreciate the low stable heel for everyday wear.